Vegan Cuts is having a Back to School Sale! Do you love back-to-school shopping as much as we do? If you’ve got the school supplies covered, we’ve got the snacks and beauty. For just a few days, we’re offering low prices on Vegan Cuts Snack Boxes and Beauty Boxes if you sign up for the school year. Receive eight Snack Boxes or Beauty Boxes to set you up for only $19 a month! 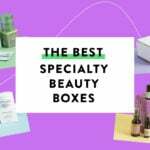 Vegan Cuts is offering a discount on 8-month subscriptions to their Beauty Box and Snack Box! For a limited time, get a Snack Box or Beauty Box 8-month subscription for $152 – $19 a box! No coupon code necessary, just use this link to access the sale. Check out our Vegan Cuts Snack Box reviews and our Vegan Cuts Beauty Box reviews to learn more about this subscription.